Check out the dynamic duo of Jake and Finn as they ride the Ancient Psychic Tandem War Elephant to victory on this awesome Adventure Time T-Shirt. 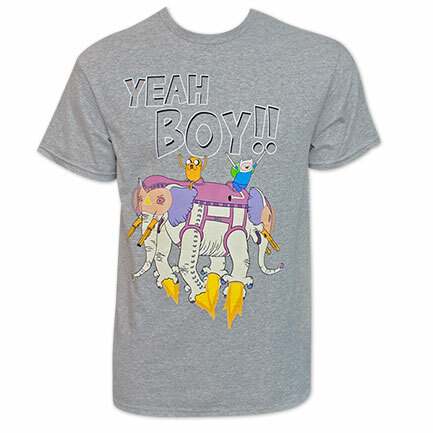 The gray shirt features an adventurous image on the front of Jake and Finn yelling Yeah Boy! Cotton/poly blend. "Easy ordering and much quicker shipping than I expected!"